All teaching and support staff at Avalon are committed to creating a pleasant, nurturing and safe environment, enabling intellectual, social, physical and artistic learning and development to take place. We believe that staff, students, and parents share equally in the achievement of our goals. 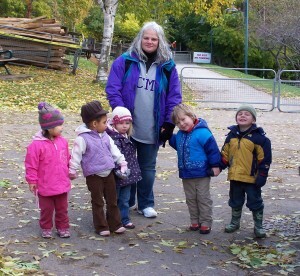 A teacher in an authentic Montessori environment will hold a Montessori Teaching diploma. Fully qualified Montessori teachers receive rigorous training in the proper use of the materials and learn about the development of the whole child – emotional, physical, intellectual, moral and social. Dr. Montessori saw education as a natural process for children. Through careful observation, a Montessori teacher follows the individual interests and needs of the child, providing lessons and guidance when necessary. Our teaching staff adhere to both the letter and the spirit of the pedagogy that govern the Montessori Method of Education and Avalon Children’s Montessori School. Our classroom assistants also receive training and certification in the Montessori philosophy of education. Our team of specialists include a music teacher, French teacher, art teacher and physical education teacher. Avalon’s staff is a dedicated team of people who enjoy working together to ensure success for the both the school and each and every student. Our objective is to guide the children with respect and understanding, developing in them a love of learning that will last a lifetime. Whenever possible, staff are encouraged to participate in professional development. All teachers and assistants have current first aid and CPR training. The Avalon Staff is headed by School Directors Christine Keery, Sherry VanDerKooi and Angie Samis, Montessori teachers, who founded the school in 1999.